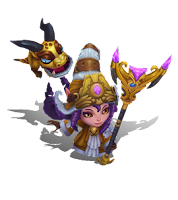 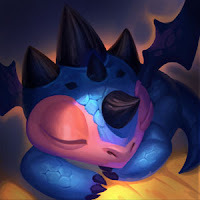 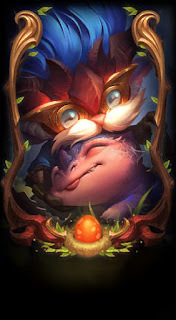 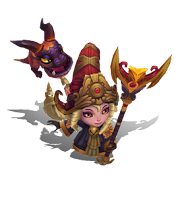 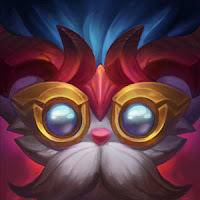 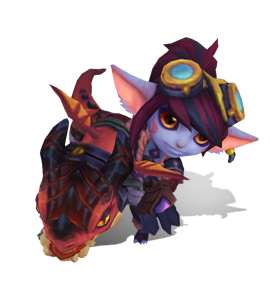 Surrender at 20: Dragon Trainer Heimerdinger Now Available! 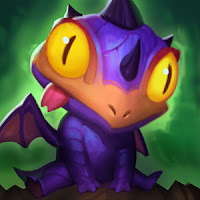 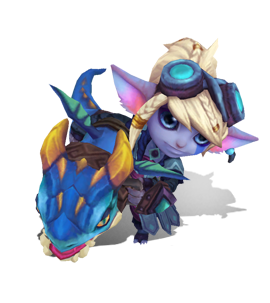 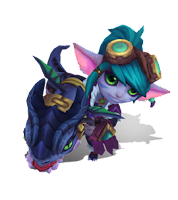 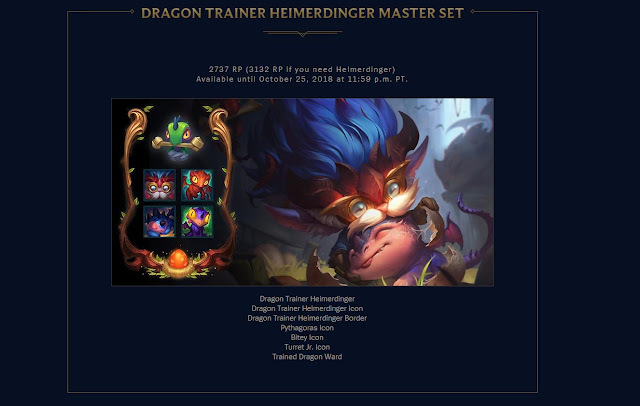 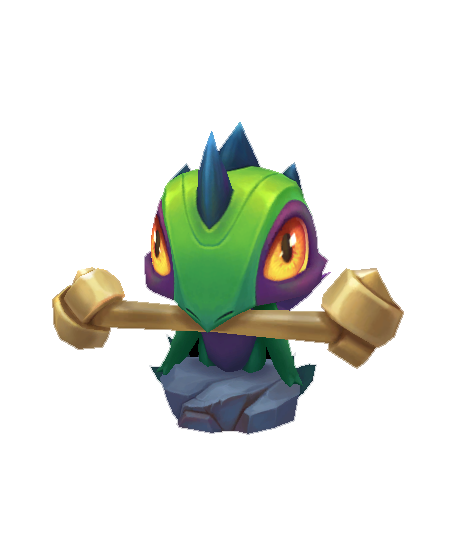 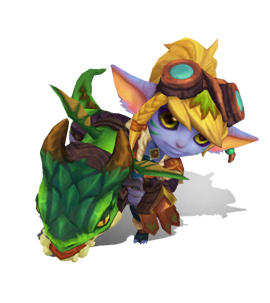 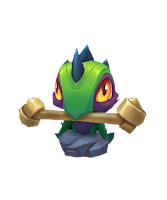 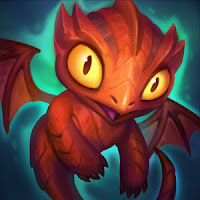 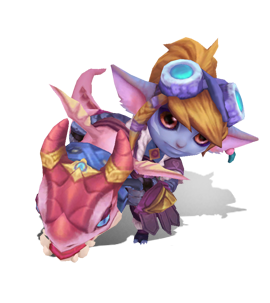 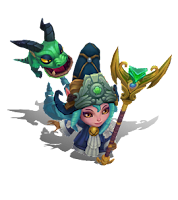 Dragon Trainer Heimerdinger Now Available! "I didn't know you were allergic to dragon fire!" 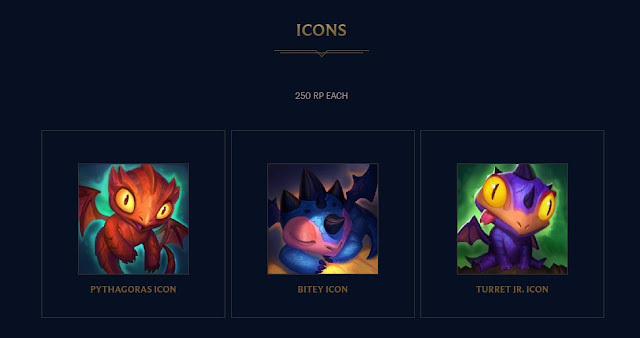 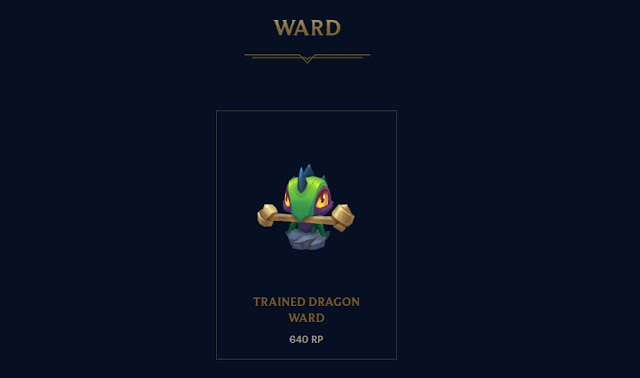 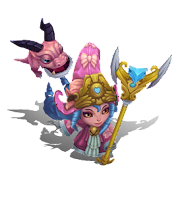 - The legendary Dragon Trainer Heimerdinger is now available to purchase, as well as new chroma sets for Dragon Trainer Lulu and Tristana, new summoner icons, and the Trained Dragon ward skin! 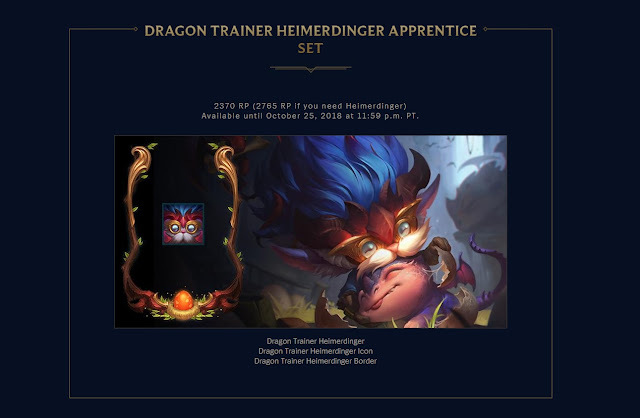 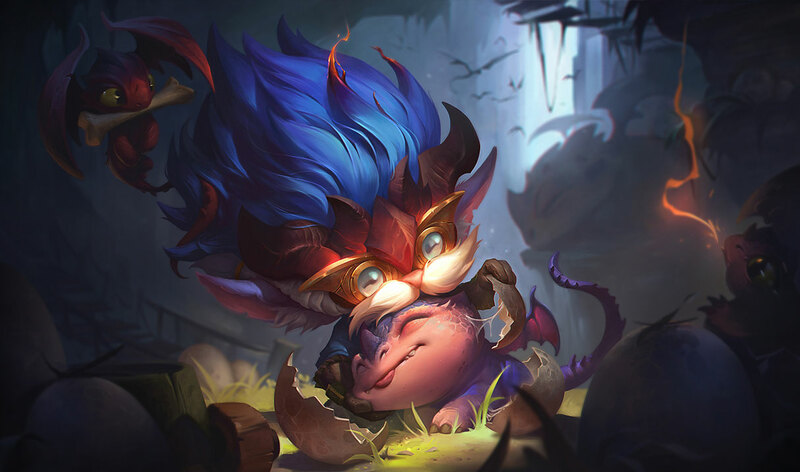 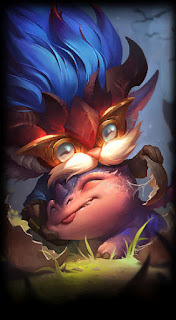 From the release announcement - "New Legendary Skin - Dragon Trainer Heimerdinger"
The new legendary skin, Dragon Trainer Heimerdinger, is now available for purchase for 1820 RP or in a bundle! 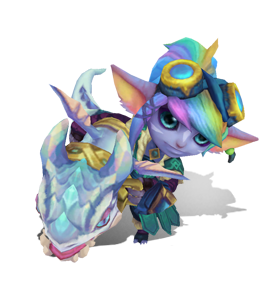 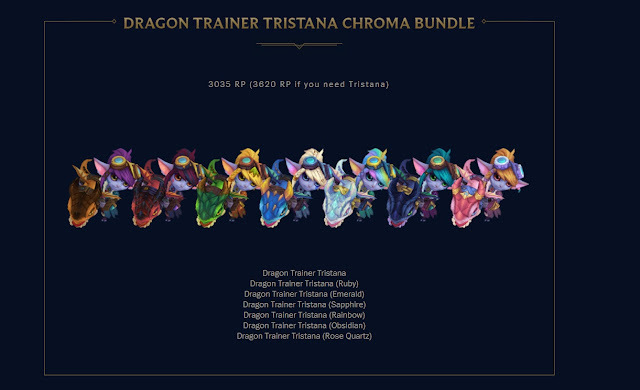 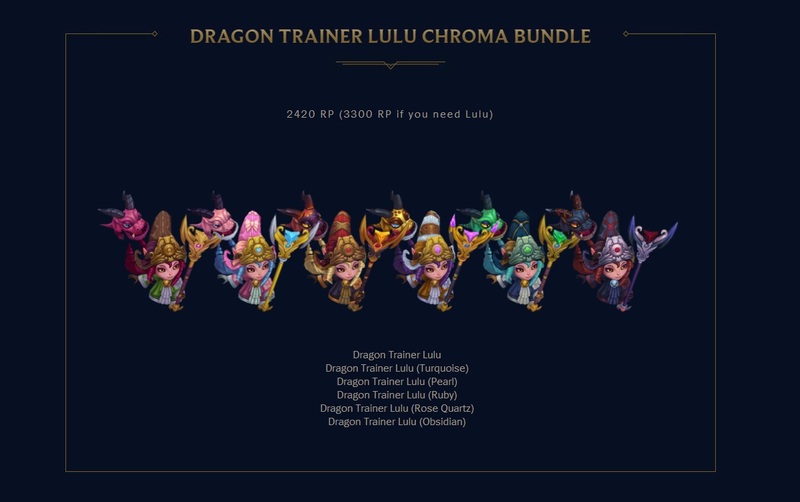 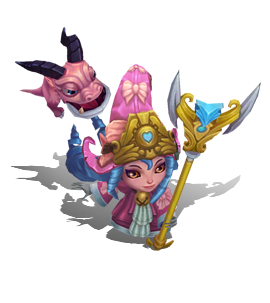 New chroma sets for Dragon Trainer Lulu and Tristana are also available for 290 RP each, or bundled. 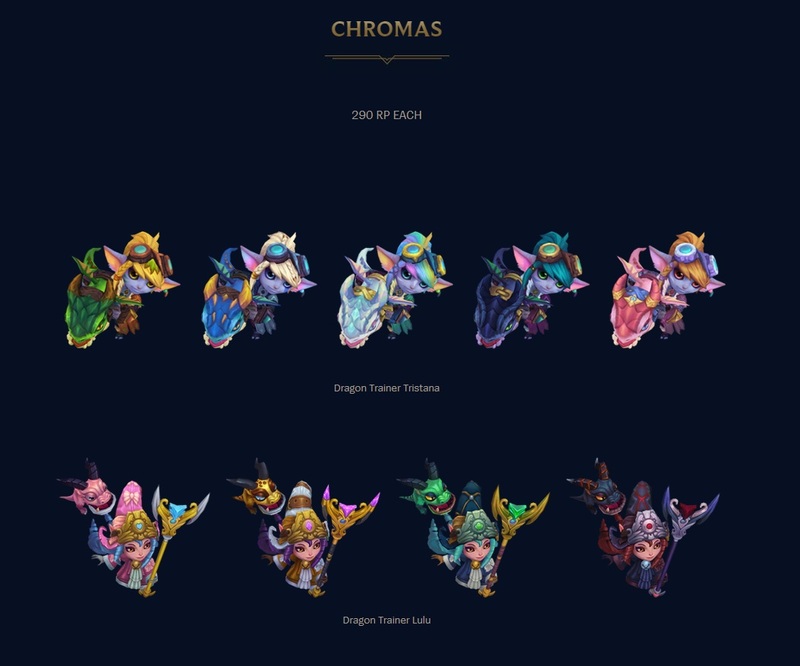 As we've seen in the past, each Ruby chroma will be a bundle exclusive!